* $25 million Series B financing for a fuel cell and back-up power equipment manufacturer. Marty Lorenzo is a partner in the Corporate and Securities group of DLA Piper LLP, where he represents public and private companies, assisting them in achieving their business and legal objectives and often acting as outside general counsel. He is a trusted adviser to C-suite executives and boards of directors, who rely on his mix of leadership skills, business acumen and legal experience to help them formulate their business strategies and achieve their goals. He regularly advises clients on day-to-day U.S. and international operational matters, including corporate governance, compliance with federal securities laws, and post-merger integration matters. As international legal counsel for his clients, he handles multijurisdictional matters that involve multiple disciplines including corporate structure and formation, corporate governance, employment, intellectual property, tax considerations and others. Lorenzo is extensively involved in civic and pro bono work. Military and Veteran Affairs Committee, National Asian Pacific American Bar Association, co-chair/co-founder; Filipino American Lawyers of San Diego, past president; Pan Asian Lawyers of San Diego, sustaining member; Philippine American Bar Association, Los Angeles, sustaining member. 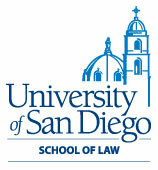 Southwest Center for Asian Pacific American Law, Chairman of the Board of Directors; University of San Diego School of Law Alumni Board, director; U.S. Marine Corps Reserve, major. His pro bono work and his contributions to the community have earned him significant honors. 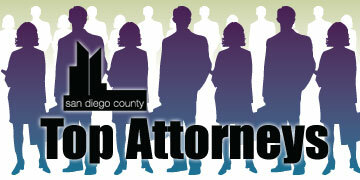 In 2010, Lorenzo received the San Diego County Bar Association’s Service to Diversity Award. The Filipino American Lawyers of San Diego and the Pan Asian Lawyers of San Diego have honored him with the Distinguished Service Award. For more than 22 years, Lorenzo has proudly served in the Marine Corps Reserves.